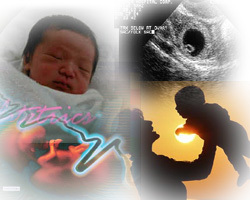 Welcome to the department of Obstetrics & Gynaecology which belongs to Sri Lanka's oldest and most complete university. The department of Obstetrics & Gynaecology is one of the departments which make up the Medical faculty of University of Peradeniya. The permanent academic staff of the department includes one professor, two senior lecturers and a lecturer. There are approximately seven other staff working in the department including technical staff, research support staff and clerical staff. The department has responsibility to teaching Obstetrics & Gynaecology to clinical students. There are about 160 medical students in each year. At any time there are 40 clinical students in the department. The department is also responsible for provision of substantial portion of clinical service in Obstetrics & Gynaecology for the catchment area of teaching Hospital Peradeniya which include 14 district hospitals and 4 base hospitals from where patients are referred for tertiary care. The Obstetrics & Gynaecology unit of teaching hospital is baby friendly and now developing as a mother friendly unit. Perinatal meetings held monthly where stillbirths, neonatal deaths, maternal deaths and near maternal deaths are discussed. In research the department has several thriving group working on wide variety of tropics central to well being of mother and baby. Active collaboration has been established with other departments of the faculty.